Instead of allowing clients to request visits at exact times - Time To Pet supports schedule blocks. 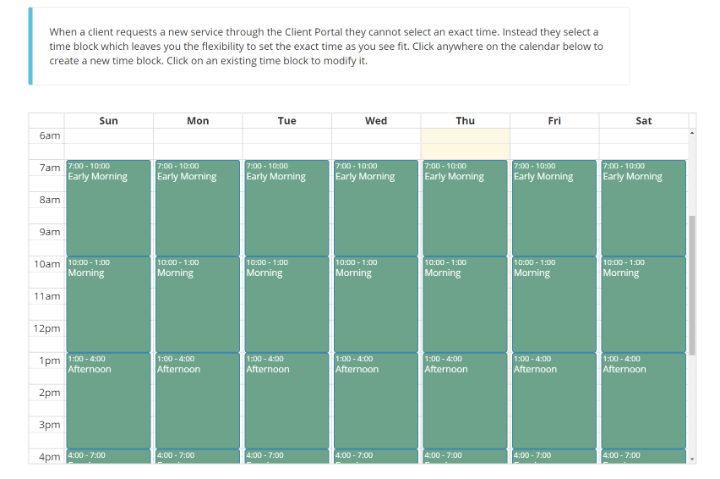 Schedule blocks allow you to create custom blocks of time that your clients can request visits in. That means your client can request a visit in the “Afternoon” instead of requesting one right at 1pm. Time To Pet uses a real calendar to schedule events. 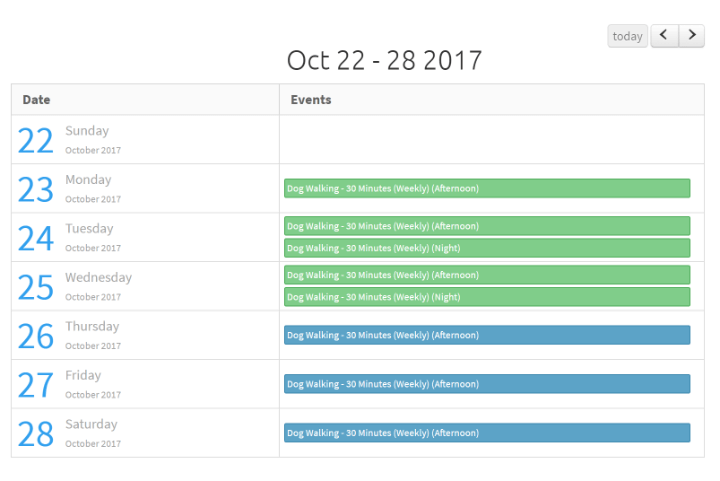 That means visits are scheduled at real times but many pet sitters and dog walkers prefer their clients don’t see the exact times of their visits. That’s exactly what the client time display tool is for! You can set a description (like “Afternoon”) instead of showing your client 1pm.